We just learned about the Mexico State of Morelos. Another Mexico State is Durango. 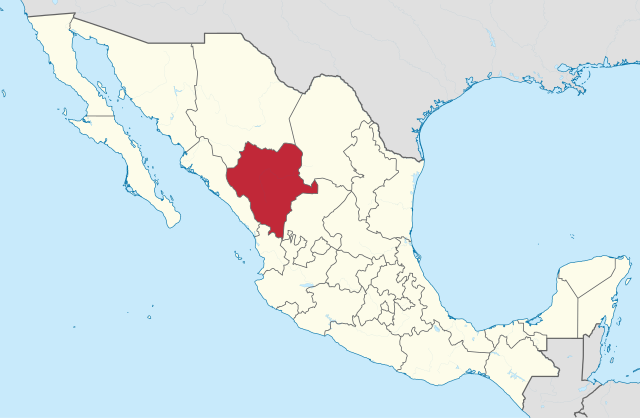 This state is in the north central of Mexico, and is mostly plains in between the two mountain ranges the Sierra Madre Occidental and the Sierra Madre Oriental. The coat of arms shows a tree with two wolves around it. These pictures came from the places in Spain where people came from before they moved to Mexico. The tree is a special tree that lived for over 400 years in Biscay Spain. People would hold special meetings at the tree, like making promises to fight for freedom. The wolves are from an old story that said before a famous battle there were two wolves that came along, and that would mean they would win the battle. 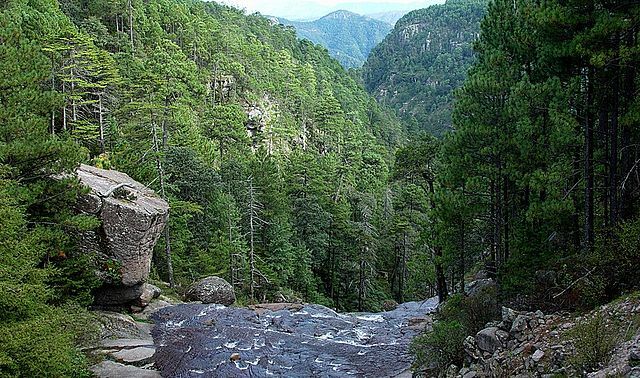 Mexiquillo is a special natural park with waterfalls and rock formations. There is a suspension bridge called Ojuela bridge that is over 100 years old, and is over 800 feet long.